Evangelical Leaders Drs. Land & Falwell: Oppose Homosexualist Romney ! 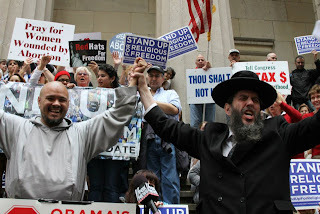 | RabbiLevin.com - Fighting for Morality! Evangelical Leaders Drs. Land & Falwell: Oppose Homosexualist Romney !